Savvy Cook’s “Learn to Love your Kitchen” workshops got a mention in the March issue of Living Magazine! Review of Savvy Cook's "Learn to Love your Kitchen"
Although workshops have a central theme (that, with a little knowledge, imagination and planning, eating well can be easy+ delicious), classes are bespoke and as much about instilling confidence as spending an enjoyable couple of hours with friends whilst learning something new. 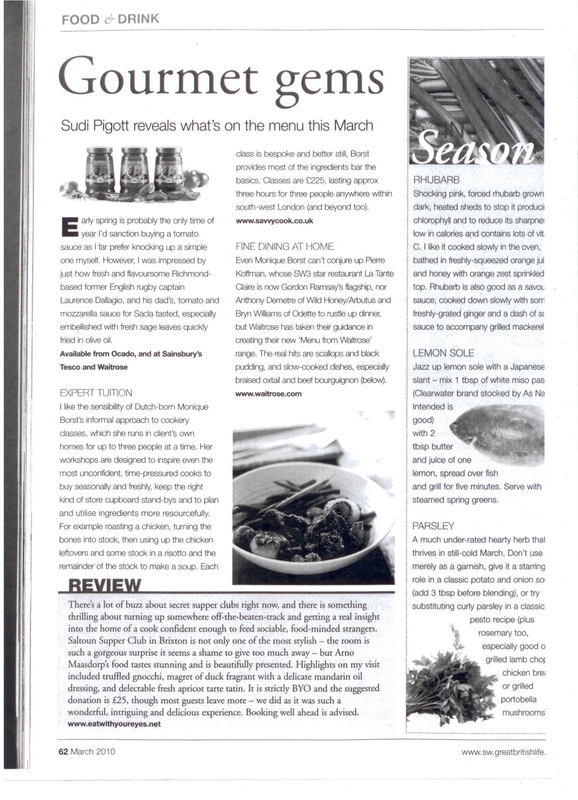 This entry was posted in food education, food news, gourmet gems, lessons about food and tagged cookery classes, gourmet gems, Monique Borst, Savvy Cook, South West Living magazine, Sudi Pigott. Bookmark the permalink.